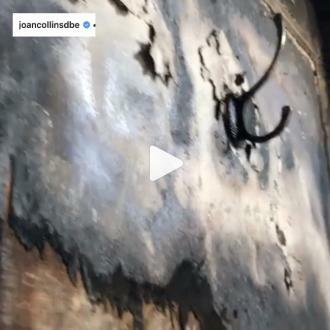 The 'Dynasty' star and her husband Percy Gibson were both left ''very shaken'' but ''unhurt'' following the blaze, which took a hold of the guest suite at their London home on Saturday (13.04.19), and on Instagram, Joan has posted a video which shows the extent of the damage caused by the fire. In the short clip, Joan shows the blackened walls of the guest room as well as broken windows, and can be heard muttering ''Oh god'' as she surveys the destruction. The 85-year-old actress had previously tweeted her thanks to the fire brigade for putting out the blaze and the ambulance crew who ''comforted'' her. The dangerous blaze was first confirmed by her representative, who praised her spouse Percy for ''controlling most of the fire'' until the firefighters were able to get to the property. 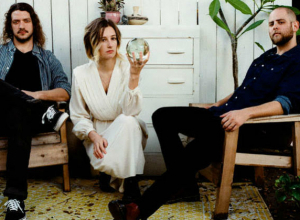 They said: ''The fire broke out yesterday. They were both in the apartment. Joan smelt some smoke and Percy went out to investigate. They discovered that the guest suite was on fire. Percy had two of those fire extinguishers in the apartment so he rushed in to start putting the fire out and Joan called for the fire brigade to come.